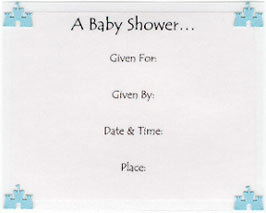 Inserts are made of translucent vellum paper over white cardstock. Matching Thank You cards are available. Insert: 3 3/4" x 4 3/4"
Diaper: 3 1/2" x 5 1/2"